Rock On 2 Box Office Collection RO2 Collection 3rd Day / 1st Weekend/Sunday: Rock On 2 movie of Farhan Akhtar and Shraddha Kapoor is in cinema halls from past 3 days but failed to gather headlines. Rock On 2 got serious hit because of demonetization effect. It’s very much sure that this film of Shraddha Kapoor is not going to cross the mark of 100 crores at the box office. The main reason for such response is, people didn’t have any counter cash and not visiting halls despite the fact that tickets could be booked online. The actual reason is, people didn’t have a chance to go for the movie as there are actual food expenses which incur usually. The last hope of Farhan Akhtar after getting a poor response on ‘Rock On 2’ was a response from weekend collections. 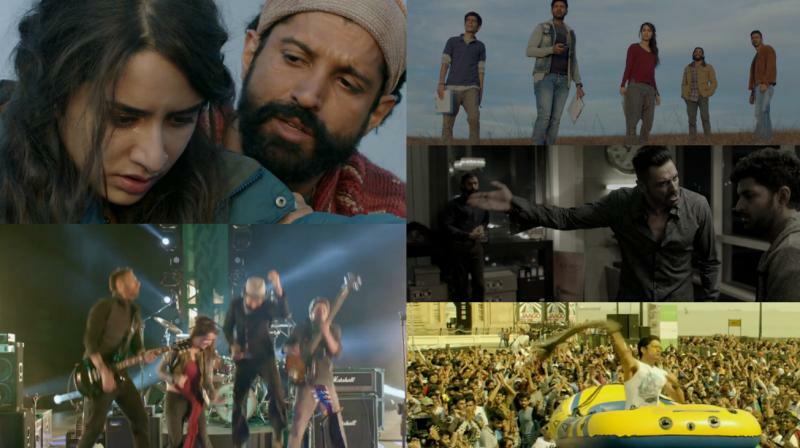 As there was no other scheduled release, it was a clear hit for Farhan Akhtar’s ‘Rock On 2 collection’. But movie failed to mint out any opportunity as the market didn’t go strong anytime. The clash also reported down going trends on the BO. The recent super hit release tag stays with Sushant Singh Rajput’s MS Dhoni. There was some hope from the movie based on the journey of teenagers, but Rock On 2 has a serious direction where music film didn’t have superhit songs. RockOn 2 collection got serious hit from demonetization, but it couldn’t be taken as a sole reason. Many movie critics around the country seriously criticized the film for being too much cozy and unconnected with the audience. The overall response during the opening day was poor which had hinted us poor weekend BO collections too. This is the time directors should take songs in the films very seriously. On the opening day, occupancy didn’t touch the mark of 10% even during the night shows. With several posts on social media, the film took a little hike, but that was not substance. Another fact that matters was that the banks kept people busy all around making the movie suffer. Rock On Second day and Third-day collections were very important as they are going to hit badly dual because of the real factors and economic factors. Occupancy during the both days couldn’t exceed the mark of 15%. The movie got mixed response from single screens and multiplexes as well. Since there was no scheduled release at the BOC for this week, it may perform even better. Currently, movie is in the danger zone, and there is a possibility that it could earn even less than the total budget. Talkie got many commitments with the viewers, and it would be interesting to see how everything goes. For now, it’s pretty much sure that there are upfront challenges to the industry.